Bring a dish and eat what you wish! 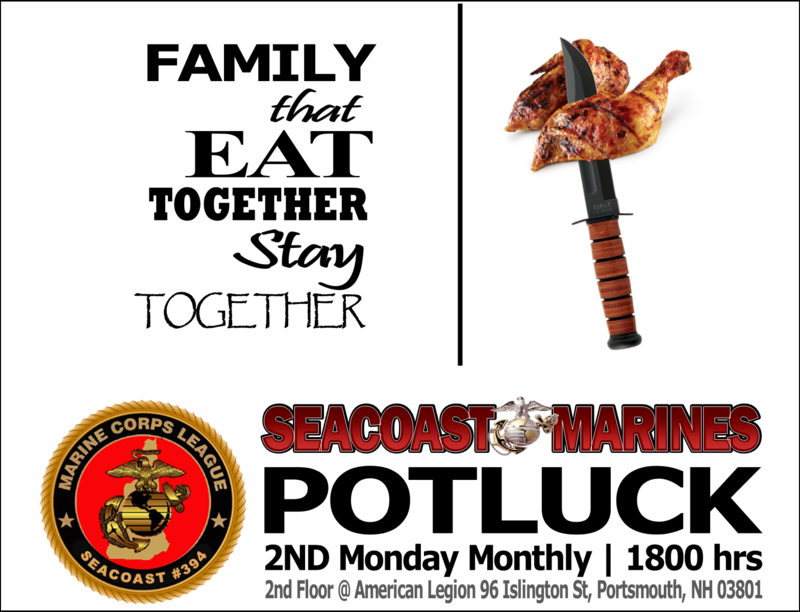 Join the MCL Seacoast Detachment #394 on April 8th at the American Legion in Portsmouth, Islington Street at 6 pm. All Marines, Family Members & Supporters of Marines and the Ideals of the USMC Welcomed!